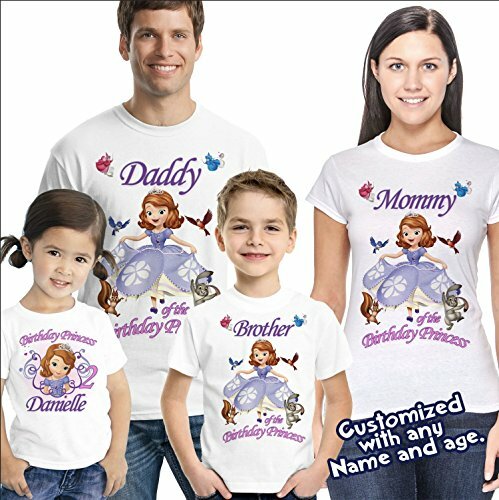 Sofia the First Birthday Shirt - Sofia Birthday shirt is adhered to the shirt using a commercial grade heat press making this shirt durable enough to withstand the wear. Please see the size chart below for the t-shirts and choose your options in the drop down menus. We will ship in 1 business days. VISIT OUR SHOP! Other characters available! If you have any questions about this product by Party Style Store, contact us by completing and submitting the form below. If you are looking for a specif part number, please include it with your message.